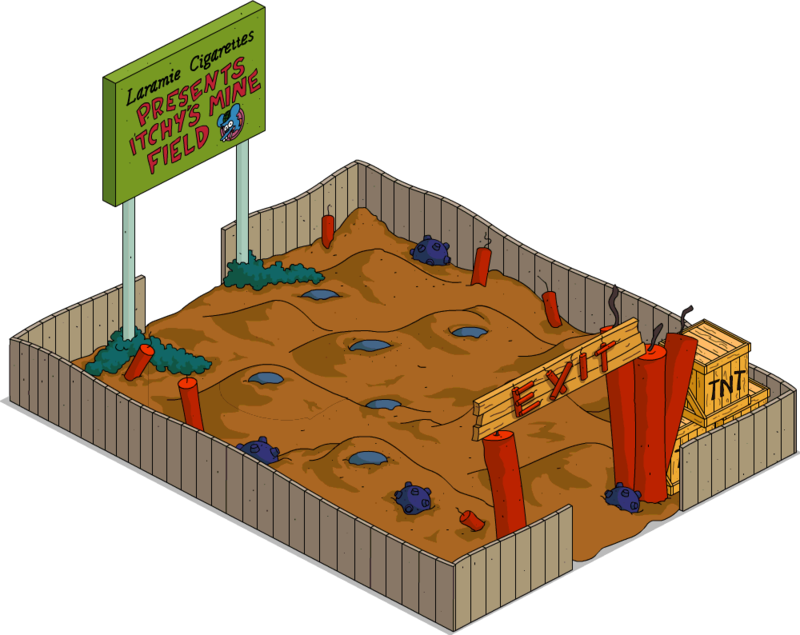 Itchy's Mine Field is a ride at the Itchy & Scratchy Land theme park. It is presented and sponsored by Laramie Cigarettes. 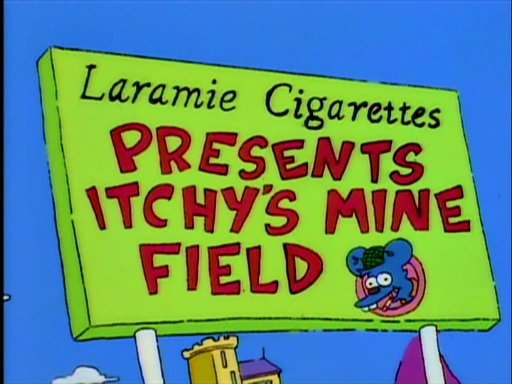 Bart and Lisa visited Itchy's Mine Field when they were at Itchy & Scratchy Land. Modified on July 11, 2018, at 11:29.